This year, April 30 transpired on a Saturday which has subsequently extended the R&D tax incentive registration deadline to today (2 May 2016). Moreover, as it is a public holiday in Queensland today, Queensland-based entities may lodge registrations until tomorrow (3 May 2016). 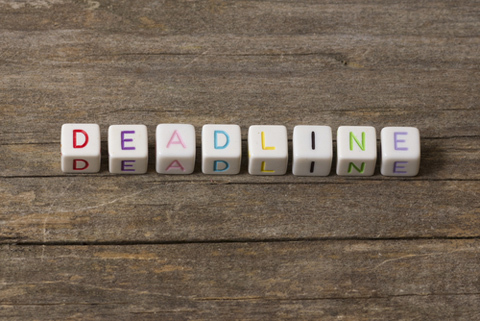 As per previous years, the R&D tax incentive registration deadline is 10 months after a company’s financial year end. Thus, for companies with a June 30 financial year-end, they will typically need to register their R&D activities with AusIndustry before April 30. However, as noted above, due to this date occurring on weekend the date has been protracted. Essentially, any Australian firm developing or improving products, processes, or software, may be eligible for the incentive. Yet as at June 2014, fewer than 12,000 performing entities had registered for its benefits. This is particularly so as the R&D tax incentive is an often overlooked prospect for small and medium sized companies (SME) and start-ups, with many erroneously believing they are not eligible. Historically, the R&D tax incentive was actually formed with a key goal of making government investment for innovation more attainable to small businesses. 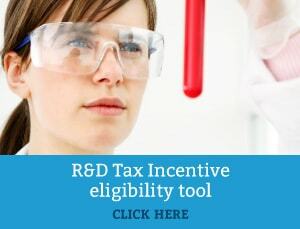 In its current form, the R&D Tax incentive is an easily accessed, yet overlooked, program that can provide generous benefits to eligible companies. In fact, the refundable (‘cash out’) component of Australia’s R&D incentive is the most generous when compared to other OECD countries around the world. Ultimately, the research and development (R&D) tax incentive can result in very significant cash refunds and tax offsets for a business which can drive its future revenue growth. Nonetheless, to access these benefits, a company must register their R&D activities with AusIndustry. This is the vital first step in accessing the program. These activities can either be classified as core R&D activities or supporting R&D activities. Core R&D activities are the experimental activities undertaken to generate new knowledge. In contrast, supporting R&D activities are the activities that relate directly and support your core R&D activities. If you intend to register and claim the R&D Tax Incentive, you must keep adequate records to demonstrate to the ATO and AusIndustry that you did carry out eligible R&D activities and that you did incur eligible expenditure. With higher levels of review activity and scrutiny by AusIndustry and the ATO, companies need to focus on, and be able to, reinforce and substantiate their R&D claims with suitable records and contemporaneous documentation in the event of an audit. With the registration deadline for activities today (and tomorrow for QLD applicants), don’t miss out on lodging your activities for the 2015 financial year. What tax savings could you inject into your business? Swanson Reed specialises in the R&D Tax Incentive – contact us today to discuss your eligibility and learn more about how the R&D Tax Incentive may benefit your business.